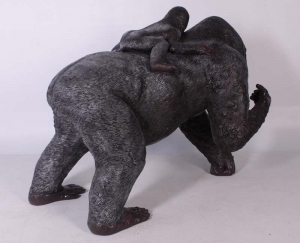 This is a really impressive resin model of a Silverback Gorilla with baby. 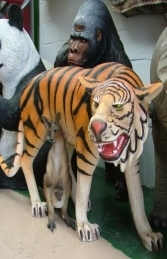 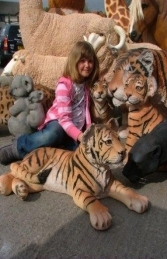 This jungle theme statue is a real eye-catcher that will make people stop and look twice! 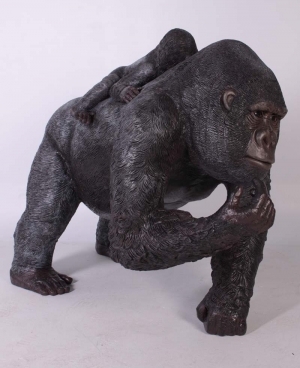 Our Silver-back Gorilla with baby standing on three hands with baby on back looks fantastic in any situation, adding to a safari or jungle themed area. This great ape figure can be used in any adventure golf courses, zoos, theme parks or to promote shops, businesses, pubs, restaurants, coffee shops.